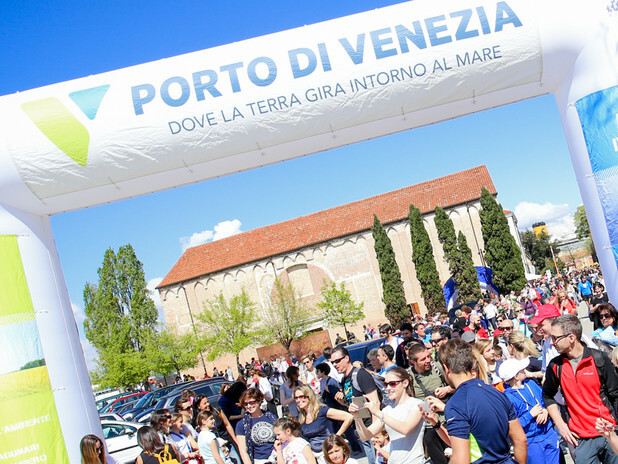 The 41st edition of the “Su e Zo per i Ponti” will pass through the venetian historical waterfront once again, marking the 11th year of collaboration with the Port of Venice. As usual, the traditional "Punto Porto" will be set up near the passage 34/17 in Santa Marta. The area, organized and managed thanks to the cooperation between the Port and the event managers, will host a refreshment point to all participants, who will have the opportunity to rest and have fun listening to the live performance of the band Al & Jay and the StoneCrazy, who will play thanks to the collaboration with Hard Rock Café. 10,000 participants are expected, coming both from the historical center of Venice and from the surrounding area, without counting the hundreds of people visiting Venice for the occasion from all over the North East of Italy. All sportsmen and sympathizers, by crossing the waterfront of Santa Marta and San Basilio, will be able to admire and learn more about a part of Venice which remains unknown to most people, where the old port warehouses have been renovated and converted to be used by citizens. This year a new initiative is also launched, a “green” project related to the presence of an eco-compactor of plastic bottles at the “Punto Porto” placed in the waterfront area, aimed making the event more sustainable and at moving a step towards a greater general awareness on the importance of sustainability. Find out who does what in the Port of Venice. The Port Directory lists 400 companies operating in the port, and 200 various services provided.